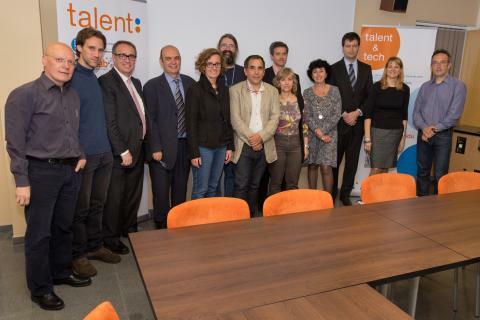 In order to define inLab's Talent Program's strategic plans, on the 14th of May 2013, an advisory board has been established including representatives of the sponsor companies, FIB members and inLab FIB members. Currently, inLab's Talent Program constists of six training programs and has three sponsoring companies: Everis, UPC and Coordina. UPC press notice [cat]: El programa inLab Talent de la Facultat d'Informàtica de Barcelona acosta l'estudiantat al món professional.